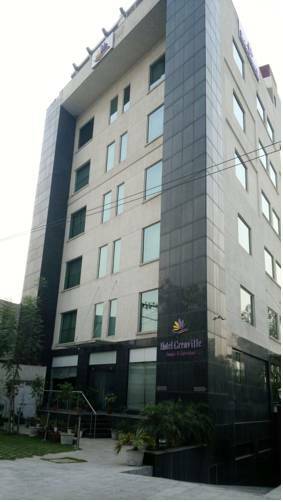 Located just 3 km from Gurgaon Central, Emblem Hotel features rooms with free Wi-Fi and a flat-screen cable TV. 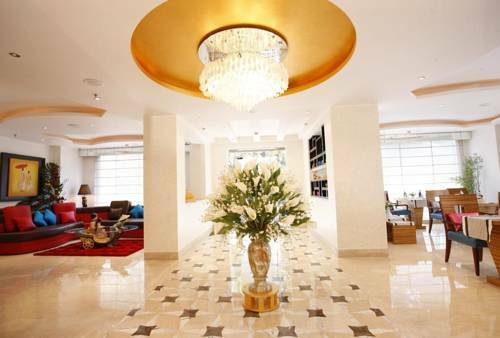 The hotel offers a 24-hour café, car rental and concierge services. Hotel Emblem is 5 km from DLF Cyber City. 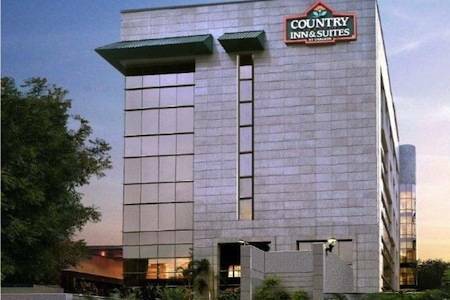 Located 3 km from DLF Cyber City and MG Road, Country Inn & Suites By Carlson Sec-12 features a rooftop restaurant and a rooftop swimming pool. Guests can relax at the health club and spa. Free WiFi and free parking are available. 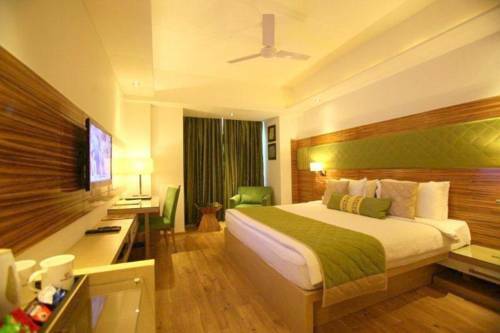 The Fern Residency is situated on Mehrauli Road, 2.5 km from Iffco Chowk Metro Station. 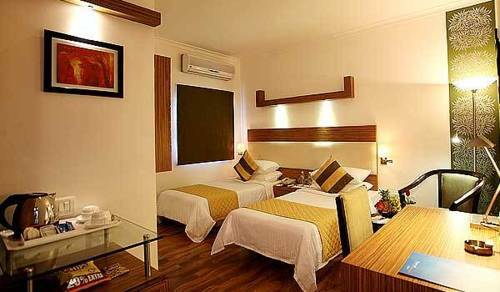 It features a fitness centre, sauna and rooms with flat-screen TVs. Free parking is provided. 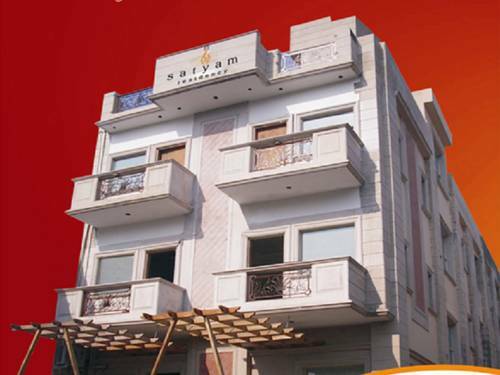 Located within a 2 km radius of Gurgaon’s business district and shopping areas, Hotel Satyam Residency offers rooms with free Wi-Fi and cable TV. It features a 24-hour front desk and provides free public parking for guests. 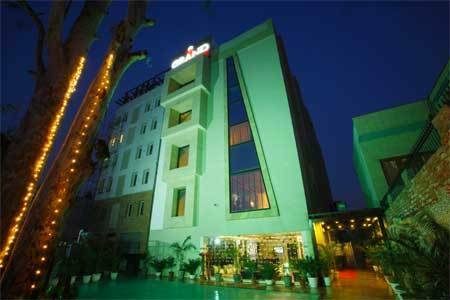 Leisure Inn is a 4-star property in Gurgaon, just 5 km from Gurgaon Railway Station, Aapno Dhar Amusement Park and Ambiance Mall. Providing free Wi-Fi, it also has a fitness centre and a 24-hour coffee shop. On-site parking is free. Peaceful stays await at Best Western Skycity Hotel with its spa facilities. 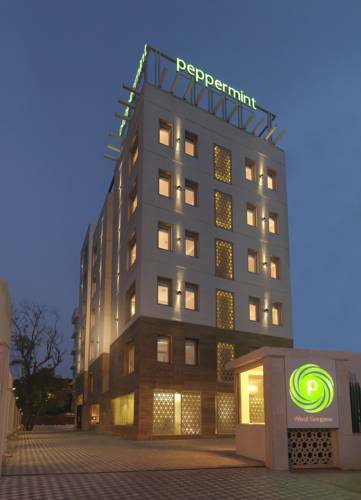 Offering free WiFi and parking, it is a 20-minute drive from Indira Gandhi International Airport. 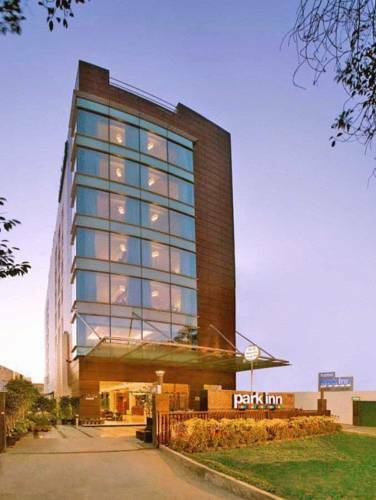 Park Inn Gurgaon is located in central Gurgaon, 4.5 km from Leisure Valley Park. The hotel features rooms with 32” flat-screen TVs. Free parking is available. Offering Indian, Chinese and Continental dishes through 24-hour room service and its restaurant, Emblem Hotel is just 30 metres from the Officer's Enclave. 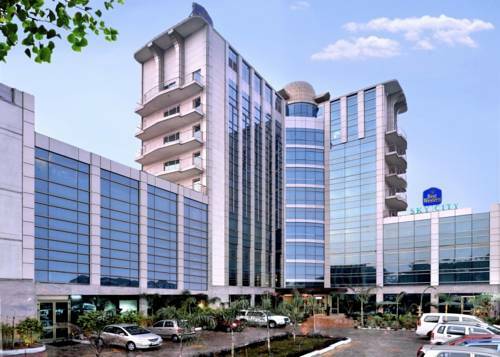 This hotel, located in Gurgaon, is less than 2 km from local shopping malls and 4 km from DLF City Centre Mall. A fitness centre, free Wi-Fi and a 24-hour front desk is featured on site.